Families visiting Oregon’s small ski and snowboard resorts are not looking for the great indoors, for the mountains are calling. 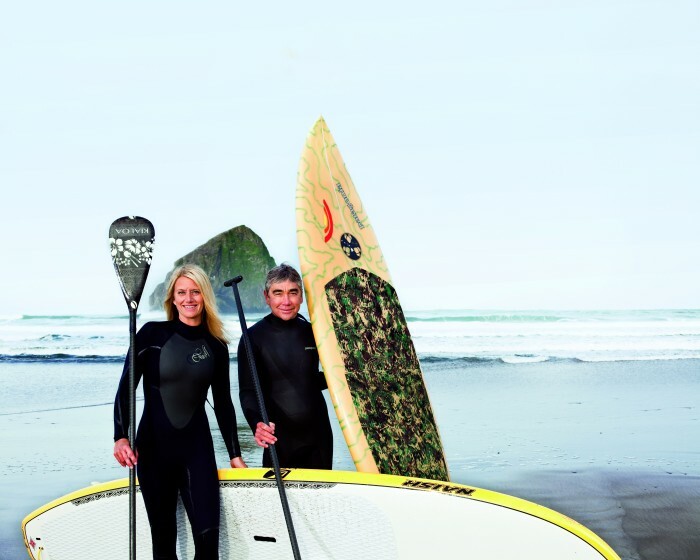 Quaint lodges are just a base for big adventures at these resorts. 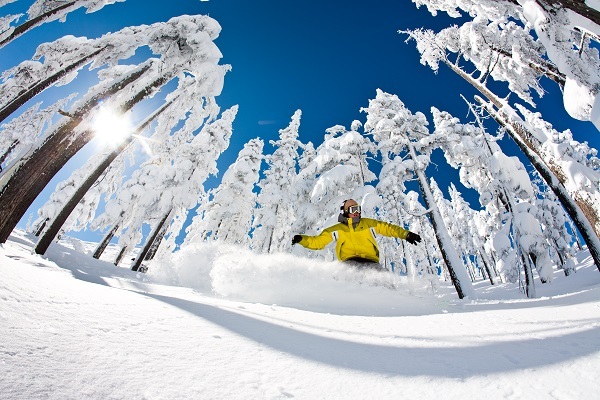 We’ve written about Oregon’s top-notch larger ski resorts in recent issues. Here we focus on the smaller, lesser-known ski areas that make for fun winter excursions. We found half a dozen winter retreats worth the extra drive to ski big with the whole family. The history of Ferguson Ridge Ski Area, tucked away in the Wallowas, was cut through the trees by avid skiers. Today, Fergi has one T-bar, a rope tow and a focus on the freedom of skiing. With 170 acres and eight runs, Fergi caters to skiers of all levels in a laid-back family atmosphere. The twenty-five kilometers of Nordic trails lure skiers to explore the mountain at length. “I like the backside trails, especially if you can get first tracks,” said Charlie Kissinger, president of Eagle Cap Ski Club, the nonprofit that operates the ski area. 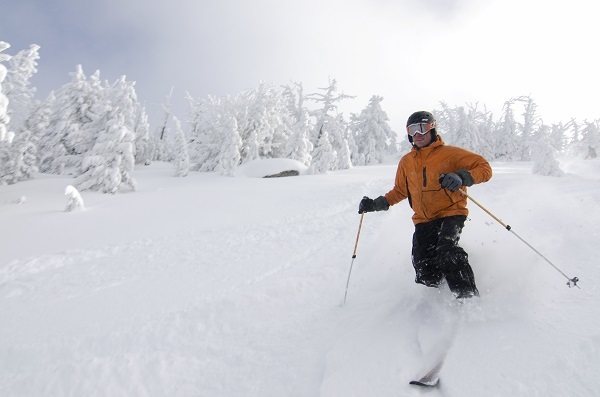 This terrain is also perfect for introducing kids to backcountry skiing. The lodge is perfunctory but endearing, with a giant fire-fueled furnace, photos of decades of locals and a simple kitchen for those who didn’t pack a lunch. A sign in Joseph tells powder hopefuls whether the generator-fueled property is up and running. When there is snow, locals call it a mandatory powder day. “When it snows you go,” said Kissinger. Prepare a cooler with your choice of craft beer (you can’t go wrong with local TG IPA) to share with new friends on the deck while you watch the kids scoot up the rope tow, and you’ll be set. Adult lift ticket $15, Child $10. Anthony Lakes Mountain Resort, an hour southwest of La Grande in the Elkhorn Mountains, welcomes everyone to start their day on skis—whether skiing is a curious new whim or a winter passion. “Early birds thrive on Anthony Lakes,” said local skier Chelsea McLagan. At 7,100 feet, it has panoramic views of the Blue Mountains, three lifts and twenty-one runs covering more than 1,100 vertical feet on light powder. Bring your skinny skis, too. 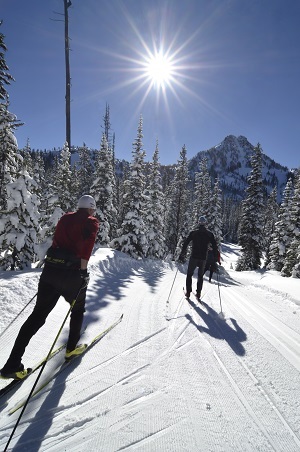 There are thirty kilometers of Nordic trails and a breathtaking view of Gunsight Peak. Reserve a backcountry yurt rental. Go snowshoeing. “Anthony Lakes’ runs all come back to the same base area, and this proves to be a great situation for families with a variety of ability levels,” said McLagan. Take your time. After a day on the slopes, sidle up to a stool at the Starbottle Saloon. Try the Barley Brown brews from nearby Baker City. Bring lunch, or grab a locally-raised beef burger from the snack bar. 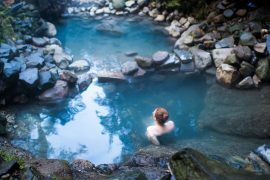 Spout Springs is nestled in northeastern Oregon, in Athena, a town named for the Greek goddess of wisdom. In the same Greek Olympiad spirit, the United States and Norwegian Olympic ski teams used Spout Springs for training in the ’50s and ’60s. 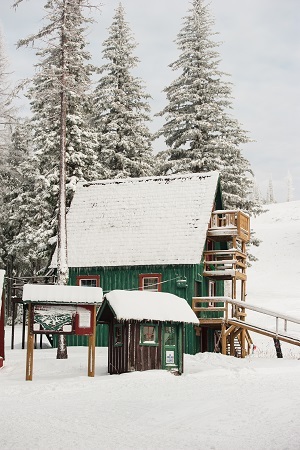 Spout Springs is 250 acres of skiable terrain with four lifts guiding skiers to fourteen runs, and twenty-one kilometers of Nordic trails with access to backcountry. Stock the car well enough and pace yourself to last through night skiing. Families drive from Portland and Walla Walla, Washington to make Spout Springs a ski season staple. The modern Spout Springs lodge has a restaurant with a full bar and gift shop, and a Norman Rockwell aesthetic that creates a relaxed atmosphere for kids learning to ski. 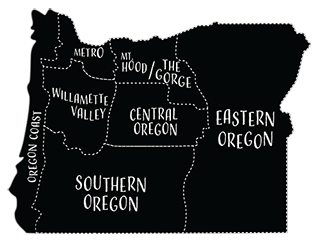 66 miles from Eugene on Highway 58, Willamette Pass has the diversity of terrain to nurture a skier’s active life. 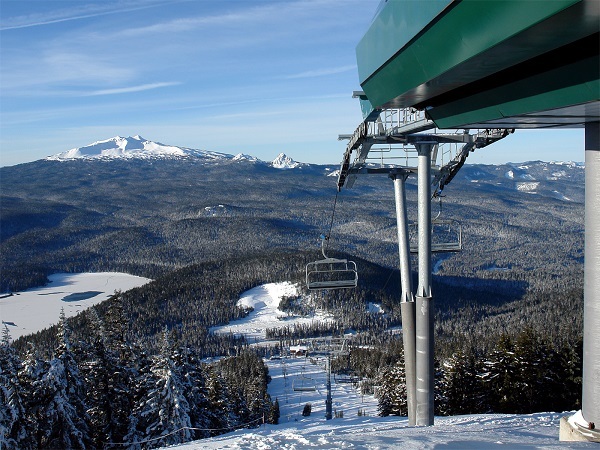 With six lifts, more than 500 skiable acres (225 of those are groomed) and an impressive selection of steep vertical among its twenty-nine runs, Willamette Pass has become a lifelong pilgrimage for skiers and riders in the southern Willamette Valley. There are twenty kilometers of Nordic trails for those who like to get a little more exercise and clean views of Odell Lake. For $20, book an RV electrical hookup. Day pass: Adult (11-64) $49, Youth (6-10) $30, Masters (65+) $30, Children under 5 can get a Gold Pass (season pass) for $5 or our Child Day passes (5 and under) are also $5. Hoodoo is a perfect escape for families looking for a wide selection of downhill turns and relatively cheap ticket prices, while not compromising on size. Just twenty-two miles west of Sisters in Central Oregon, this ski area has five chairlifts, more than 800 acres of skiing and thirty-two runs. At Hoodoo, you can do laps on your favorite runs with less than five minutes of waiting at any lift. “When visiting Hoodoo for the first time, ride the Ed chair, and you will have the best view of Central Oregon,” said avid Hoodoo skier, Leif Williams. 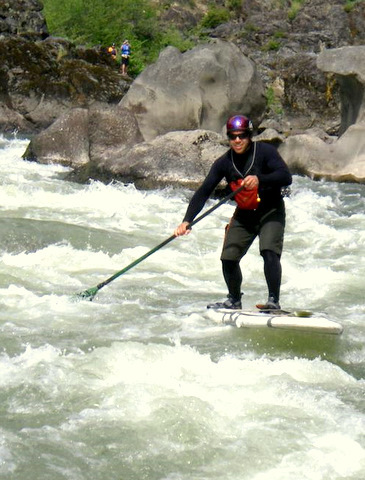 “What’s great about skiing the face of the mountain is that I can ski the steep run and my grandkids can enjoy the same trail,” said Dale Berg, owner of Berg Ski Shop in Eugene. 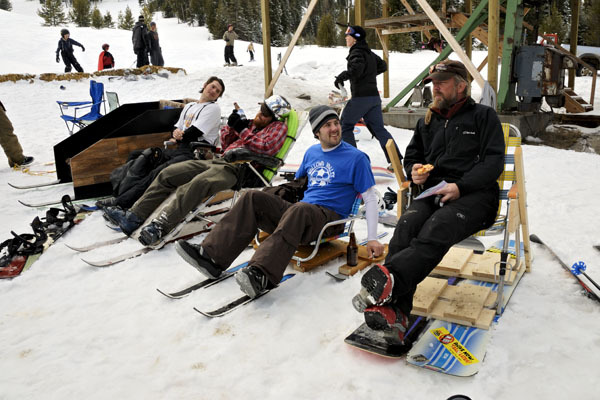 “We can ski together at our skill levels from top of the mountain to base.” The Hoodoo lodge serves local Three Creeks Brewery’s Hoodoo Voodoo if you need an afternoon break. Set up a tailgater or RV hookup. When the sun goes down, the mountain comes alive with night skiing. “Family, family, family. 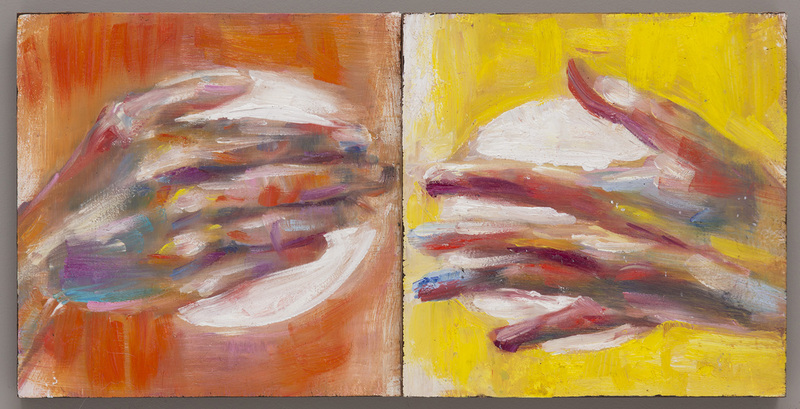 That’s what comes to mind when I think of Hoodoo,” said Berg. A neatly cut sixteen kilometers of Nordic trails and large tubing center create an entertaining outdoor alternative if downhill isn’t your fancy. Mountains such as Warner Canyon in Lakeview belong to the people. 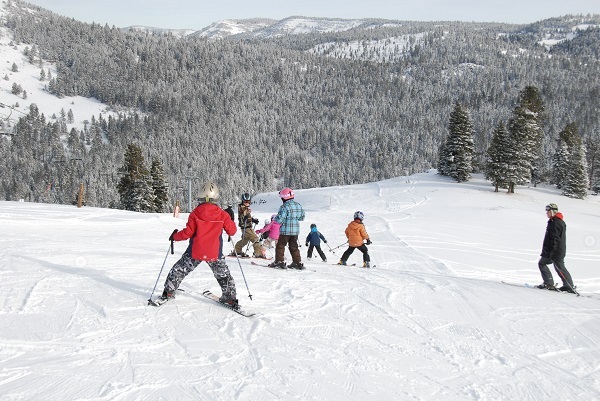 On the edge of the Fremont-Winema National Forest is where skiers and boarders are made from a young age, and fun is passed between generations. A single lift opens access to 200 skiable acres spread across twenty-two runs, with the majority of slope at an advanced angle. At the base, a rustic lodge provides a family space for a picnic lunch and a snack bar. Tailgating parties are popular in the parking lot, too. Next door in the Fremont-Winema National Forest, there are forty kilometers of marked, ungroomed Nordic trails, with access to backcountry. A low-maintenance, old-fashioned approach to skiing allows families to feel comfortable in making the mountain their own playground.